Contact North Miami Car Accident Lawyers Gerson & Schwartz, P.A. The rideshare service, Lyft, launched in 2012. Over the next few years, it expanded to cities around the country. 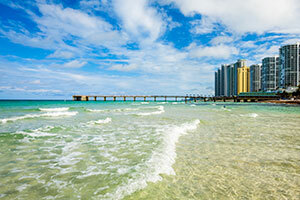 It made its way to Florida, offering employment and rides in Orlando, Miami, Fort Lauderdale, and the surrounding areas. The service is a boon for many in North Miami. It gives everyone a chance to get to and from work when their car is in the shop. It ensures everyone can go out, have a good time, and avoid drunk driving at the end of the night. Calling a Lyft for a ride is useful at all times of day, all week. The ease, convenience, and apparent safety are why so many people rely on Uber and Lyft to get around. However, you may not be as safe in a Lyft as you think. Lyft drivers are ordinary people. They may have clean driving records, but everyone does until their first crash. Also, you could be in a Lyft vehicle and struck by another car. If you are involved in a car accident with a Lyft, you should contact a North Miami Lyft lawyer to discuss your rights and options. Lyft’s insurance may cover your injuries, or you may need to make a claim against another person’s insurance policy. The claim process can get complicated after a crash with a Lyft, which is why it is helpful to have a lawyer represent you and handle the red tape. To talk with a Lyft accident lawyer in North Miami call Gerson & Schwartz P.A. at (877) 475-2905. 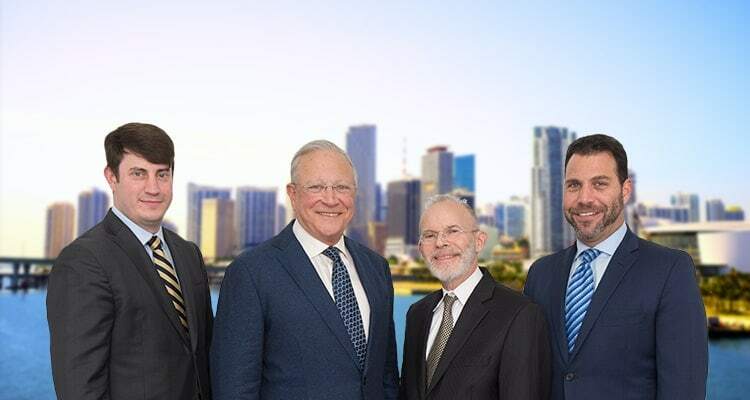 Philip M. Gerson and Nicholas I Gerson along with partners Ed Schwartz have been representing accident victims in South Florida for over 4 decades. All cases are worked on by all of the firm’s partners. Gerson & Schwartz, PA accident lawyers provided aggressive and effective legal representation for injured Lyft drivers and passengers. If you were seriously injured in a collision don’t wait. Contact us today to find out more about your legal rights and remedies. If you were in one of these types of accidents involving a Lyft, or any other kind of crash, do not hesitate to call us for help. We will help you get the best medical care possible. Then, we will guide you through pursuing appropriate compensation from the liable party. I Was a Passenger in a Lyft When it Crashed, What Can I Do? If you were riding in a Lyft when it was in a car accident, call our Lyft accident lawyers in North Miami right away. The first step after any accident is to ensure you receive appropriate medical attention. Your focus should be on your recovery. Our next step will be to thoroughly investigate the accident. We will gather and analyze evidence to determine what happened, who was at fault, and whose insurance policies may cover your injuries. To obtain the evidence we need, we may have to file a personal injury lawsuit. This allows us to demand information and documentation during the discovery period. It can be the most efficient way to obtain information from Lyft and the Lyft driver. Also, during this time, we can depose the parties involved and witnesses in order to obtain their official statement. Once we know who caused the crash, we will have a clearer picture of whose insurance company is primarily responsible for compensating you for your injuries. If the Lyft driver caused the accident, then you may need to file claims against the driver’s personal policy and Lyft’s policy. If another driver was at fault, you will need to file a claim against that driver’s policy. Lyft’s insurance coverage may or may not help you if another driver was responsible. The insurance claim process is often confusing after an accident with a rideshare, rental, or borrowed vehicle. Please do not hesitate to call a Lyft attorney in North Miami for advice and representation. Lyft has various insurance policies that apply at different times while a driver works. When a driver is in “off” mode (not working): The driver’s personal auto insurance policy covers accidents. When a driver is in “on” mode and waiting for a ride request: Lyft provides contingent liability coverage, which covers another person’s property damage and bodily injuries, if the Lyft driver’s insurance does not respond. Lyft’s liability policy covers up to $50,000 per person or $100,000 per accident for injuries and up to $25,000 per accident for property damage. When a driver has accepted a ride request through the end of the ride: During a ride, Lyft offers primary liability insurance up to $1 million. Lyft’s policy pays in excess of the driver’s personal insurance policy. Lyft offers contingent collision and comprehensive coverage as long as the driver pays for collision and/or comprehensive coverage in their personal policy. The rideshare company also provides underinsured and uninsured motorist coverage, which can cover passenger and driver injuries. If you were injured in a car crash that involved a Lyft, whether you were the rideshare driver, a Lyft passenger, or in another vehicle, you are going to need legal guidance. More than one insurer may need to address your claim, yet they all may try to deny liability or limit your financial recovery. By hiring an experienced Lyft attorney, you have someone who can efficiently handle the insurance claim process, prove the at-fault driver’s liability, and fight for you to receive fair compensation. To discuss how we can help, call Gerson & Schwartz P.A. at (305) 371-6000.